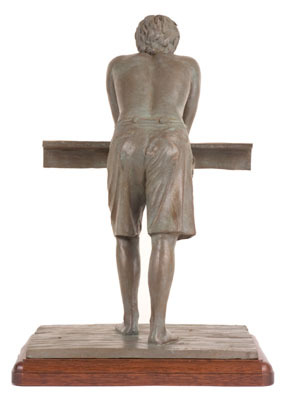 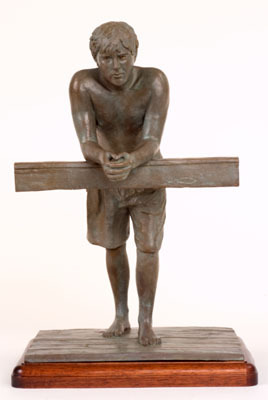 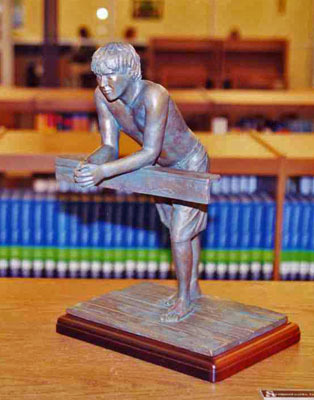 "Bluffton" is shown as part of a Sculptureworks display at the Grapevine, TX, Public Library. 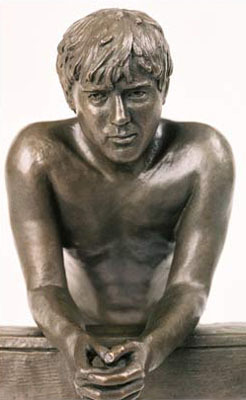 Photograph by Elizabeth Loggins. 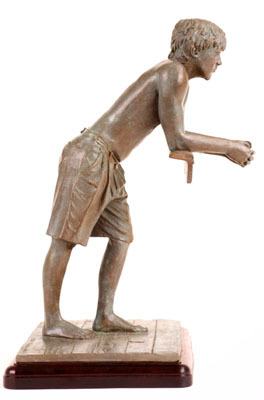 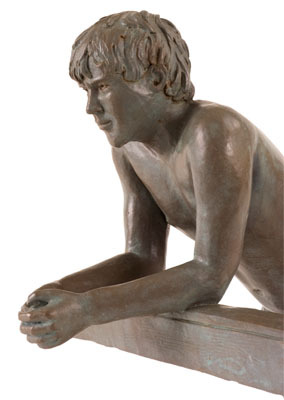 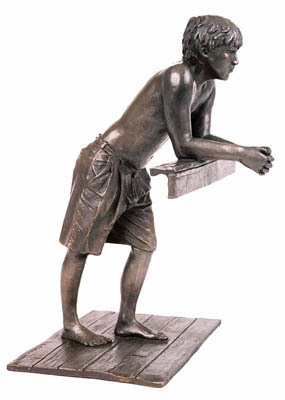 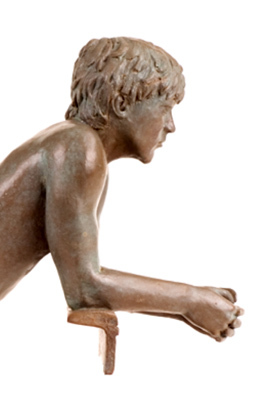 "Bluffton" depicts a boy leaning on a fence.